Immaculate, 2 B/R, 2 bath, office & den suite in Aqua. 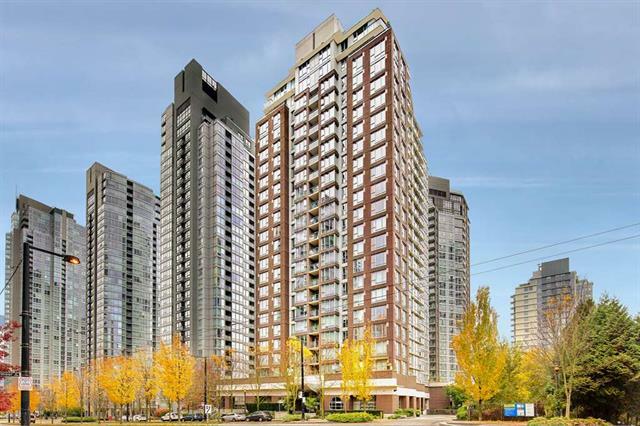 Bright & spacious, this south facing corner unit offers an ideal layout with floor to ceiling windows & Maple H/W flooring. The kitchen has granite counters, maple cabinets & quality stainless steel appliances. The living & dining area will fit your house size furniture. The master B/R with walk-in closet has room for a king size bed. There is a nicely appointed 4-piece ensuite bath plus a second 4-piece bath. The generous sized 2nd B/R is thoughtfully separated from the master. The office/study could be a guest rm. Facilities: concierge/pool/sauna/gym/lounge/squash court/theatre/guest suite. Step outside to enjoy parks, walk/bike the seawall, ferry to Granville Island, stroll to Yaletown shops, restaurants & the Canada Line station.